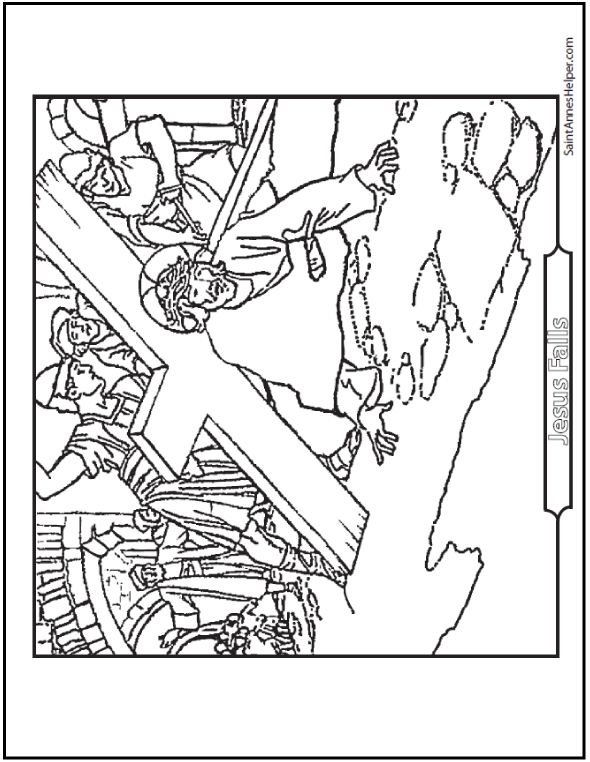 This Catholic coloring page shows when Jesus fell as he carried the Cross on the stone road. The soldiers cruelly urge him up Mount Calvary as people crowd the way. Building this page I realize for the first time in my life that He fell twice after Simon of Cyrene was helping Him. This PDF prints 8.5x11" single sided. Jesus falls three times on the Way of the Cross, twice after Simon helped Him.